Translated from German to English by Catherine Winkworth, 1855. 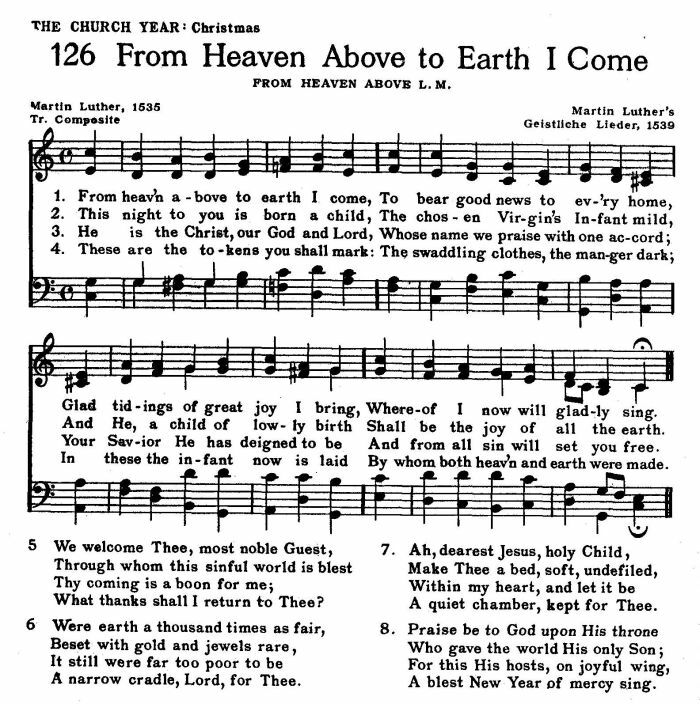 Luther wrote this hymn for the Christmas Eve festival held annually at his house. 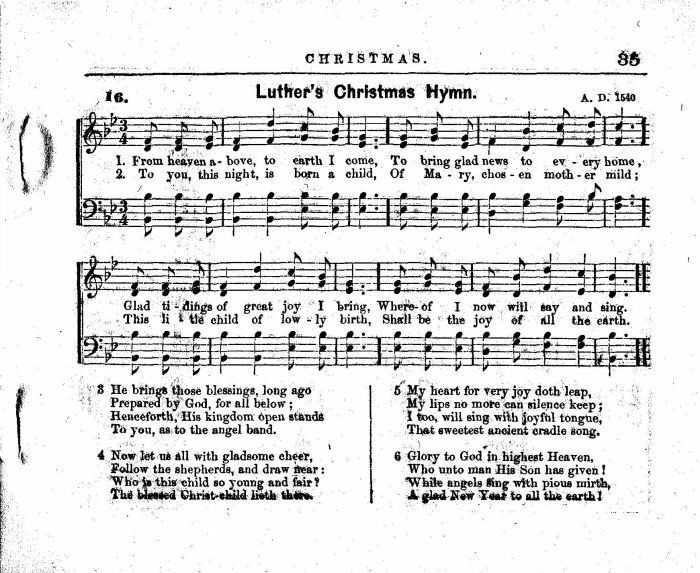 The opening verses were traditionally sung by a man dressed as an angel. These lyrics, though sung as a separate hymn, are only part of Winkworth’s translation. Give Heed, My Heart is another part. harmony by Johann Sebastian Bach. Sheet Music "A. D. 1540" from John Clark Hollister, ed., The Sunday-School Service and Tune Book (New York: E. P. Dutton and Company, 1863, 1865), #16, p. 35. By whom both heav’n and earth were made. Alternate 4th verse from John Clark Hollister, ed., The Sunday-School Service and Tune Book (New York: E. P. Dutton and Company, 1863, 1865), #16, p. 35.